A retired Army officer killed his wife in their Harford County, Maryland, home and then drove to his son's home near the University of Maryland, College Park and killed him and then himself, police say. Farhad Siddique, 19, died in what police are calling a double murder and suicide. His mother, Zarqa Siddique, 48, also was killed. 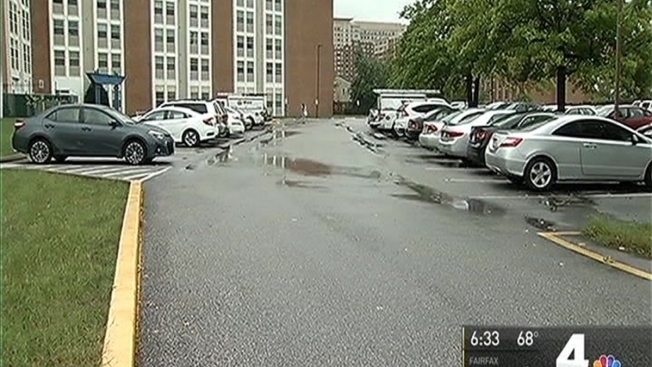 Officers found the body of the University of Maryland junior on Wednesday after he was reported missing to university police. Prince George's County Police Capt. Brian Reilly said Farhad Siddique may have gone to morning classes. "He missed a class that he goes [to] with his friends," he said. "They started reaching out to him and he never responded back." Officers found his body and the body of his father, Nasir Siddique, 57, about 10:30 p.m. Wednesday in the father's SUV, police said. The car was parked on 48th Avenue, less than a mile from the university's College Park campus. Police said they found a handgun in Nasir Siddique's lap. "For somebody to take that step to kill their own child, we never understand that," Reilly said. Harford County police believe Nasir Siddique killed his wife, Zarqa Siddique, hours earlier at their home in Bel Air, northeast of Baltimore. Her body was found with a gunshot wound about 10:15 p.m. Wednesday. Officers then learned that Prince George County's officers were investigating the death of her husband and son. Zarqa Siddique worked for Harford County Public Schools. Nassir Siddique, an Army retiree, was an appointed member of the Governor's Commission on Maryland Military Monuments, Shareese DeLeaver-Churchill, a spokeswoman for the Maryland Department of Planning confirmed. Due to poor attendance, Nassir was not slated to be re-appointed, she said. "This is an unspeakable tragedy and the governor's prayers are with the family of the victims of this horrific crime," DeLeaver-Churchill said. There had been "no previous indications of any problems at the house, no calls for service, no domestic violence or anything like that," Davis said at the news conference Thursday. The mother, father and son are survived by Farhad Siddique's sister, who is attending college out of state, police said. The investigation is ongoing, police said. Nassir Siddique left a note in his home in Bel Air, police said without disclosing whether it provided a motive.